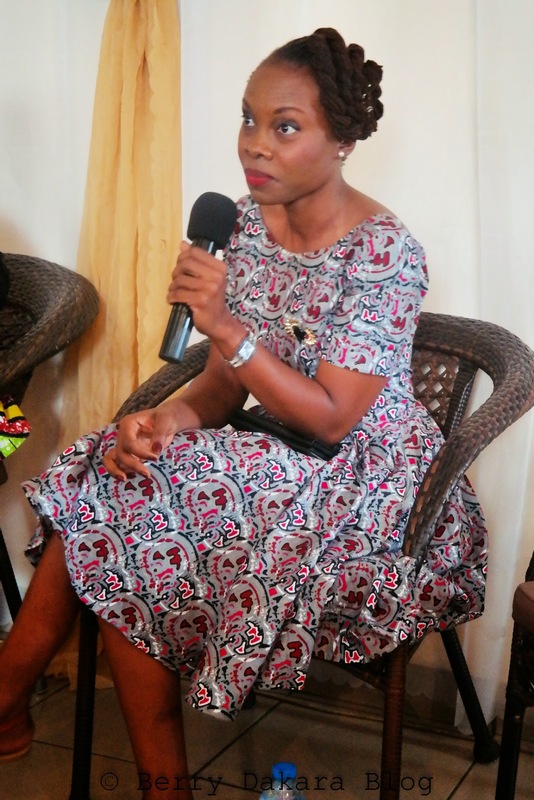 After Arese spoke, the next part of the program was a panel discussion anchored by Wana Udobang, and featuring Uzo (Investment Banker turned Foodpreneur), Elaine (Investment Banker turned Makeup Professional) and Aurora Moneyi (Brand Manager working a 9-5). This mix of women was aimed to get perspectives of women who work for others, as well as those who transitioned from corporate work to owning their businesses. Because it was more of a discussion, I didn't really take notes, but there were key things that each woman mentioned, and that's what I'll share. 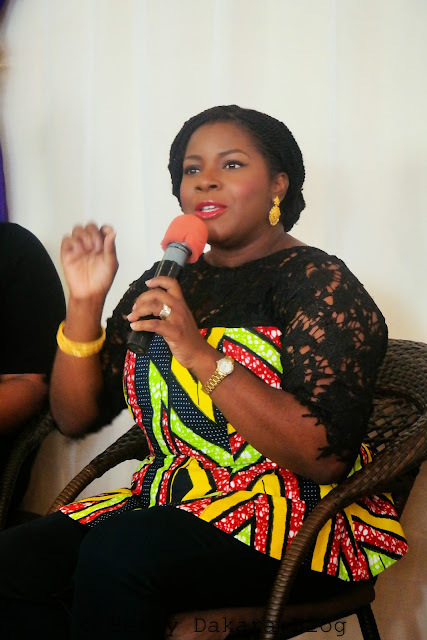 While Wana wasn't one of the panelists, she anchored the session and briefly mentioned that she's always working. Wana is one of those people that is multi-talented. If you follow her online, you know that she's a radio personality, events MC, actor, writer, and so much more. She has seized on her many talents and is making them work for her and get her PAID!!! Uzo used to work as an investment banker, making boatloads of money! She actually said the amount of money she was making can make someone go crazy, because there was so much of it. While she enjoyed her job and was very skilled at it, after a while, she started feeling less and less content. Gradually, she turned towards one of her passions - home entertainment, through which she started baking. She would work very long hours at the office, then come home and bake all night, scheduling her deliveries in the wee hours of the morning before heading to work. As she realized that she would rather focus on that, she quietly saved up her money to help her stay stable when she would eventually leave her job. I think that's a good tip right there - don't quit your job randomly because you have a passion, make sure that you can feed yourself and have somewhere to live for 6 months to a year, because not all businesses immediately generate stable cash. 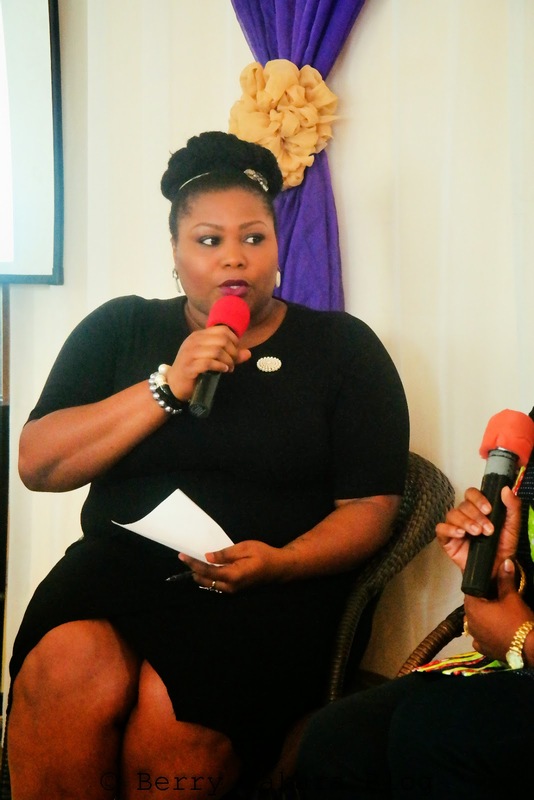 She started out her business in baking, but has diversified that business into a mini food conglomerate. 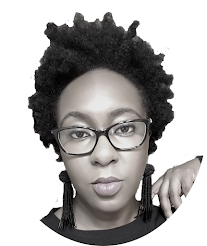 She provides consulting to food, beverage and hospitality organizations, cooking classes, has a growing farm, and also appears on TV (The Spot on EbonyLife on Fridays, and I think another show on Sundays - Chefrican or somn like that). Like she said, "DREAM BIG! I am going to be the Martha Stewart of Africa." Aurora is a Brand Manager/Specialist, and it was great having someone who works in the corporate world as part of the panelists. A lot of times, you have mostly entrepreneurs speaking at events, but people forget that not everyone wants to own businesses. Aurora talked about how she makes sure to live within her means via Delayed Gratification. For instance, there's a very nice pair of shoes she's seen, that she likes. But if she knows that there are more pressing priorities for her money (e.g. her savings), she would rather wait and delay getting those shoes until she's more ready. Like she said, "There is no class or status. It's all in your mind. Nobody is thinking about the shoes you wore yesterday." Making sure her rent isn't more than 3 months worth of her salary. Living close to her office, to cut down on transportation costs - while keeping the above point in mind. Don't go and say you want to live on Banana Island because your office is close by o, because I was not there by that time. SHOP SALES!!! You guys already know that I love sales (wedding dress, blazers, spa outings, etc), and there are plenty of them out there on Dealdey.com, The5kShop, Jumia, etc. Sales apply to clothes, shoes, travel, appliances, and more. Ensure that your money is working for you. E.g. you can invest in real estate - buy a piece of land that you know will appreciate, or put money towards buying/building a house that helps you eliminate paying rent (and if you have the space, rent out part of the house to make rent for yourself as added income). Being single doesn't mean that you cannot be financially successful. You don't need to wait for a man to come and "rescue" you. She said, "Don't depend on a man to give you money when you can create or build or invest to make that money yourself." 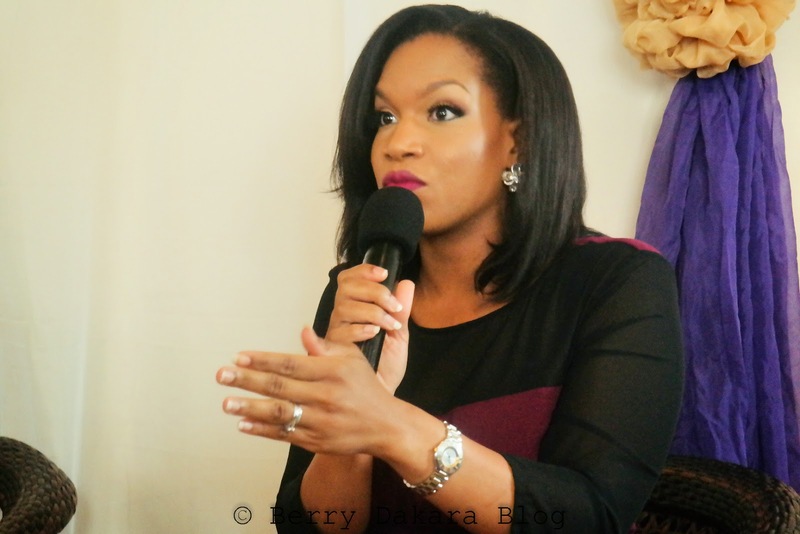 If you like and enjoy makeup in Nigeria, then you most likely know Elaine, who owns ShoMya Cosmetics. She left her job as an investment banker and decided to follow her passion, which was makeup. But the thing that stood out to me, was when she mentioned taking a course that cost over $2000! Like she said, this was her passion and she saw the need to invest in it. So many entrepreneurs out there may have the ideas, the drive, the work ethic, but are they putting in the necessary investments that will make them excel above their counterparts? Yes, you can be naturally gifted, but you also have to keep learning as there are always developments in almost every field. You can also take some business courses, some of these are free online, that will help you learn to manage your business, balance your sheets, learn basic accounting and management principles, etc. Elaine also mentioned that she had a saving habit from when she was quite young, and that the time to start saving money is NOW!!! Additionally, she said that she never spends beyond her means. This is something I try very hard to maintain - what's the point of buying that phone, car, bag, vacation, and at the end of the day you're broke?! I hope you've gained one or two things, and will apply some of these nuggets of wisdom from these women. 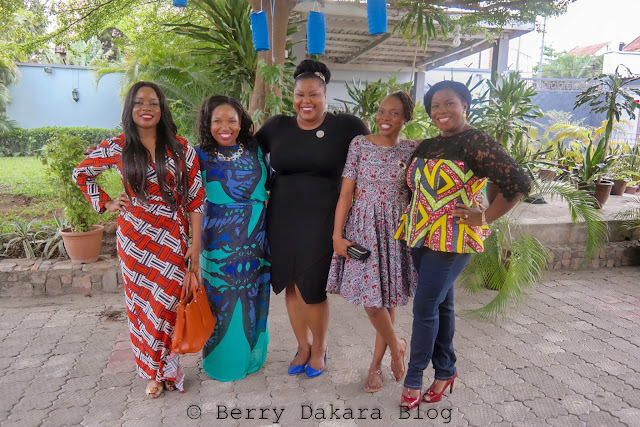 I really enjoy events like these, and think that women should continually support each other to grow in every aspect of their lives. What are you doing NOW to be financially successful? Let's share in the comments and help each other out. What brilliant and practical financial advice. The photos look great and thanks for sharing that! You're most welcome! BTW, I really like your blog - simple, short, precise to the point. I like the two part series. thanks for sharing. I absolutely love all the nuggets given. Thanks for sharing Berry. Awwww, there'll be another one in a couple of months I think. Not finance, but another topic. Glad you got something out of my posts. I am sincerely inspired by the "transitioners". It's great when you have a plan B that you are passionate about and able to excel at besides the basic 9 -5 gig. Yes ma'am, you're absolutely right. I think it's good to have a backup plan. Girl, I almost forgot o. But thankfully I remembered and still had some points in my memory. 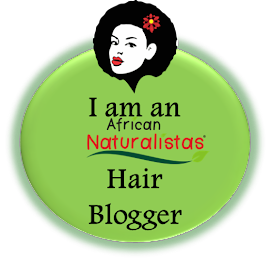 Hi its my first time on your blog, really nice I do have a question though when is the next natural hair event? I really would like to attend. Thanks! There's actually an event coming up next weekend - Salon Day Out on June 7th at Oriental Hotel from 12pm to 6pm. Naturals in the City was supposed to be June 6th but pushed back because of the fuel crisis - tentative date is June 20th. And then Locs Appreciation Day is at the end of June. Thanks for sharing, Berry! Loved the advice!